CNG is made by compressing natural methane gas to less than one percent of the volume it occupies at standard atmospheric pressure. CNG is stored and distributed in canisters or tanks, usually in cylindrical or spherical shapes, for installation on motor vehicles. Compressed natural gas is also increasingly being used as a “green” energy source for air travel and for trains as well as for buses, trucks, and automobiles. The benefits of compressed natural gas are many, and those benefits are quite impressive, but the truth is that compressed natural gas can also be quite dangerous. Many businesses and public transportation agencies in California and across the country, in response to rising gasoline costs and environmental worries, have converted or are converting their fleet vehicles into compressed natural gas vehicles. In fact, California leads the nation in the use of CNG-powered vehicles, which are required to meet the same federal safety standards as gasoline-powered vehicles. Still, in many cases, CNG canisters and tanks eventually become hazardous for a variety of reasons. If you or someone you love is injured in a CNG tank explosion, the results can be devastating – people have been permanently injured, disabled, and worse in CNG tank explosions. If you become the victim of a compressed natural gas explosion, contact a good personal injury lawyer at once about a possible personal injury lawsuit, and in southern California, speak immediately to an experienced Pasadena personal injury attorney. Compressed natural gas usually costs substantially less than gasoline for the same mileage, and there are many other advantages as well. Compressed natural gas does not contain any lead, and maintenance costs for CNG-powered vehicles are lower than for other hydrocarbon-fuel-powered vehicles. CNG emits significantly fewer pollutants – carbon dioxide, unburned hydrocarbons, carbon monoxide, nitrogen oxides, sulfur oxides, and particulate matter – than gasoline. Being a gaseous fuel, CNG mixes easily and evenly in air. Compressed natural gas powers about 150,000 vehicles in the United States and roughly 15.2 million vehicles worldwide. Any gasoline-powered vehicle can be converted to a dual-fuel (gasoline/CNG) vehicle. Authorized shops can install a compressed natural gas cylinder, a CNG injection system, and the accompanying electronics. The cost of converting a vehicle to compressed natural gas can be as much as $8,000 on passenger cars and light trucks, so most conversions are done for commercial and government-owned vehicles that are constantly on the road. Whenever a CNG cylinder is installed, that installation must be done so that the cylinder is protected from road hazards and from direct sunlight. CNG tanks have been available for use in motor vehicles since the 1940s. However, since the 1970s, motivated by this nation’s need to protect the environment and to reduce our dependence on foreign oil imports, manufacturers have aggressively been marketing compressed natural gas cylinders and vehicles. Today in California and a number of other states, compressed natural gas is widely used in city and county fleet vehicles, city buses, and school buses. A number of manufacturers now offer factory-built, CNG-fueled trucks, vans, transit buses, and school buses, and in southern California alone, there are about one hundred CNG fueling stations. The tanks that hold compressed natural gas are usually fitted underneath a vehicle, so those tanks are not easy to inspect for possible defects, although an inspection is recommended every three years or every 36,000 miles, whichever comes first. Under normal conditions, new compressed natural gas tanks are good for about fifteen years, but the inspections and expiration dates can be easy to forget about or overlook when you’re a busy fleet manager running a hectic day-to-day operation involving dozens of drivers and vehicles. Older CNG tanks on older vehicles should be replaced as quickly as possible. Compressed natural gas tanks on vehicles that already ride low to the ground – or on vehicles with worn shock absorbers – are extremely dangerous. Anyone who owns a CNG-powered vehicle or who manages a fleet of such vehicles must inspect the tanks on schedule and have them replaced on schedule. Negligence regarding outdated or defective CNG tanks can lead to powerful explosions, serious injuries, and in the worst-case scenario, avoidable fatalities. That kind of negligence can also lead to personal injury lawsuits when the victims of compressed natural gas explosions seek compensation for their injuries. When an aging or defective CNG tank scrapes the pavement – or anything else – at a high speed, the result can be a disastrous explosion that hurts everyone in the vicinity. For example, in January 2015, a bus explosion in Pakistan killed 62 people when the CNG tanks under the bus exploded. Surviving family members are now seeking to be compensated through Pakistan’s civil court system. Also in January 2015, compressed natural gas cylinders on a garbage truck in Indianapolis exploded, sending fragments of the CNG tanks as far as a quarter-mile from the explosion site. Several nearby buildings sustained significant damage in that explosion. Compressed natural gas tank explosions are almost always unexpected and disastrous. When a CNG cylinder explodes, it is imperative to have the evidence analyzed thoroughly and to determine the precise chain of events that led to the explosion. A good personal injury attorney can work with fire and insurance investigators and other experts to determine exactly why an explosion happened and to determine who should be held accountable. There are four basic kinds of CNG tanks: all steel, mostly steel, plastic and steel, and all plastic. When you combine aged or defective CNG tanks with vehicles that ride low to the ground or have worn shock absorbers, tank failure is almost inevitable, and the typical failure mode for a CNG tank isn’t a leak; it’s an explosion. A compressed natural gas explosion severely injured a California man named Israel Solorio when the two all-plastic CNG tanks under his delivery van exploded in 2009. Mr. Solorio’s right leg had to be amputated. The case brought national attention to the issue of compressed natural gas regulations and safety – and an investigation by the National Highway Traffic Safety Administration (NHTSA) and NASA’s White Sands Testing Facility. The results of that investigation were published in a document titled “Hydrogen and CNG Fuel System Safety Research,” released by the NHTSA on January 26, 2012. The catastrophic ruptures to the two tanks, occurring long before their scheduled expiration date, called into question the safety standards and the design, production, and testing procedures for all-plastic CNG tanks. 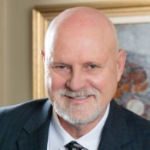 In the interest of public safety, several California personal injury attorneys, including attorney Gregory R. Vanni of the Pasadena law firm Thon Beck Vanni Callahan & Powell, funded the investigation at a cost of nearly $2 million. The case eventually settled for a confidential amount and created a comprehensive CNG database for the NHTSA and NASA that can be used to save lives in the future. For his work on that case, Mr. Vanni received a 2014 California Consumer Attorney of the Year Award from the Consumer Attorneys of California. In more recent CNG-related developments, chemists at the University of California at Berkeley announced in October 2015 that a new and innovative way to store methane could speed the development of natural gas-powered cars that don’t require the high pressures or cold temperatures of today’s compressed or liquefied natural gas vehicles. The chemists have developed a porous and flexible material – a so-called metal-organic framework – for storing methane that addresses these problems. Without the high pressure required for todays’ CNG cylinders, cylinder explosions might still happen, but they would cause far less damage. 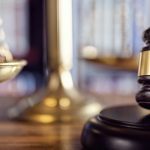 If you or someone you love is injured in a compressed natural gas accident or explosion, you have the legal right to be reimbursed for your medical treatment, lost income, and related expenses, but you’ll have to fight for that reimbursement with the help of a good personal injury lawyer. In California, contact a Pasadena personal injury attorney who has experience representing the victims of CNG tank explosions. 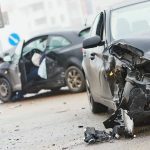 A good personal injury lawyer will investigate the details of your CNG accident and injury, examine the evidence, interrogate the witnesses, work alongside experts, and fight aggressively for the compensation you deserve. Protect yourself. In every state, you have only a limited amount of time to take legal action after you’ve been injured, so if you or someone you love is injured by a compressed natural gas tank explosion, do not wait to make the call to an experienced personal injury lawyer. Can An Uninsured Driver File A Claim Against An Insured Driver? 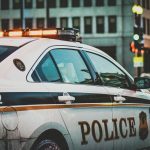 What To Do When You’re In A Car Accident With The Police?